Follow the Safety Activity Checkpoints. Instructions for staying safe while participating in activities are detailed in the Safety Activity Checkpoints, available from your council. Read the checkpoints, follow them, and share them with other volunteers, parents, and girls before engaging in activities with girls. Arrange for proper adult supervision of girls. Your group must have at least two unrelated, background screened adult volunteers present at all times, plus additional adult volunteers as necessary, depending on the size of the group and the ages and abilities of girls. Adult volunteers must be at least 18 years old (or the age of majority defined by the state, if it is older than 18) and must be screened by your council before volunteering. One lead volunteer in every group must be female. Get parent/guardian permission. When an activity takes place that is outside the normal time and place, or a topic is discussed that could be considered sensitive, advise each parent/guardian of the details of the activity and obtain permission for girls to participate. Report abuse. Sexual advances, improper touching, and sexual activity of any kind with girl members are forbidden. Physical, verbal, and emotional abuse of girls is also forbidden. Follow your council’s guidelines for reporting concerns about abuse or neglect that may be occurring inside or outside of Girl Scouting. Be prepared for emergencies. Work with girls and other volunteers to establish and practice procedures for emergencies related to weather, fire, lost girls/volunteers, and site security. Always keep handy a well-stocked first-aid kit, girl health histories, and contact information for girls’ families. Travel safely. When transporting girls to planned Girl Scout field trips and other activities that are outside the normal time and place, every driver must be an approved adult volunteer, over the age of 21 and have a good driving record, a valid license, and a registered/insured vehicle. Insist that everyone is in a legal seat and wears her seat belt at all times, and adhere to state laws regarding booster seats and requirements for children in rear seats. Role-model the right behavior. Never use illegal drugs. Don’t consume alcohol, smoke, or use foul language in the presence of girls. Do not carry ammunition or firearms in the presence of girls. Create an emotionally safe space. Adults and volunteers are responsible for making Girl Scouting a place where girls are as safe emotionally as they are physically. Protect the emotional safety of girls by creating a team agreement and coaching girls to honor it. Agreements typically encourage behaviors like respecting a diversity of feelings and opinions; resolving conflicts constructively; and avoiding physical and verbal bullying, clique behavior, and discrimination. Ensure that no girl is treated differently. Girl Scouts welcomes all members, regardless of race, ethnicity, background, disability, family structure, religious beliefs, and socioeconomic status. When scheduling, planning, and carrying out activities, carefully consider the needs of all girls. Those needs may include school schedules, family needs, financial constraints, religious holidays, and the accessibility of appropriate transportation and meeting places. Promote online safety. Instruct girls never to put their full names or contact information online or engage in virtual conversation with strangers. Girls should never arrange in-person meetings with online contacts, other than to deliver cookies and only with the approval and accompaniment of a parent or designated adult. On group websites, publish girls’ first names only and never divulge their contact information. Teach girls the Girl Scout Online Safety Pledge and have them commit to it. Keep girls safe during money-earning activities. Girl Scout cookies and other council-sponsored product sales are an integral part of the program. During Girl Scout product sales, you are responsible for the safety of girls, money, and products. In addition, a wide variety of organizations, causes, and fundraisers may appeal to Girl Scouts to be their labor force. 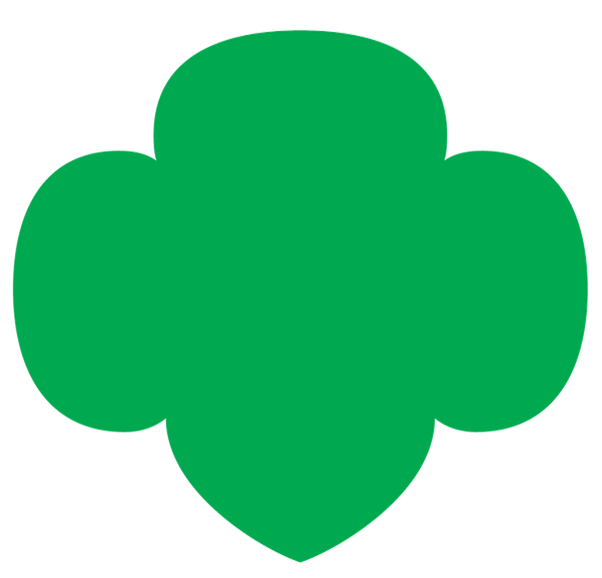 When representing Girl Scouts, girls cannot participate in money-earning activities that represent partisan politics or that are not Girl Scout–approved product sales and efforts. It shall be the policy of the Girl Scouts of Tropical Florida that all program standards, activity checkpoints and guidelines for safety, security, supervision, equipment, certification and money earning MUST be met. When the policies of GSUSA and the GSTF differ, the stricter policy will apply.